Sedans have evolved over the years. While prospective buyers used to target these vehicles for the affordable price tag, they’re now zeroing in on these cars for a variety of additional reasons. For instance, these sedans provide the efficiency you’d expect from a small car, but they also deliver a surprising amount of power. Meanwhile, the interior technologies should keep every occupant entertained, while the safety features help keep all of the occupants secure. There’s no denying that the 2017 Chevy Cruze stands on a tier by itself. Well, if you live in the Albany, New York area, you should visit DePaula Chevy as soon as possible. The helpful sales team will guide you through the car-buying process, and you could drive off the lot in your new Cruze in no time. All drivers should value safety. Fortunately, both the Cruze and Focus provide all of the preventative and protective features that you could possibly want. While these cars will do everything in their power to avoid an accident from occurring in the first place, drivers can at least relax knowing that their sedan will provide them with the utmost security if they do find themselves in a wreck. The 2017 Cruze surely provides everything a driver could need in regards to safety. The class-leading 10 standard air bags will provide the maximum amount of cushion during an accident, while the high-strength steel safety cage should keep the car in one piece. Meanwhile, a host of preventative safety technologies (including Rear Cross Traffic Alert, Side Blind Zone Alert, Lane Keep Assist, Rear Park Assist, and Forward Collision Alert) should help you avoid that collision in the first place. Parents will especially appreciate the addition of Teen Driver technology, which comes standard on the 2017 Cruze. The vehicle provides a number of services that will keep these younger operators protected when they’re operating a vehicle. Drivers will be notified via audible and visual warnings if they’ve exceeded the pre-set speed restrictions, and many of those previously-mentioned safety functions will automatically be activated when a teen gets behind the wheel. Meanwhile, parents can monitor their teen’s driving habits thanks to the Cruze’s comprehensive vehicle diagnostics. Like any car company, Ford is focused on keeping their occupants protected, so engineers included a number of technological safety features that should help the driver avoid an accident altogether. The Reverse Sensing System, the Blind Spot Information System (with cross-traffic alert), the Lane-Keeping System, and the Active Park Assist are all valuable inclusions that should help prevent a crash. If a driver does find themselves in an accident, a number of features should keep them safe and sound. The dual-stage front airbags, front-seat side airbags, side-curtain airbags, and driver knee airbag provide protection for parts of the body that often get overlooked. Meanwhile, the engineers’ decision to include boron steel in the door intrusion beams should prove particularly beneficial during side-impact collisions. Even if you decide to pursue a smaller, inexpensive sedan, you shouldn’t assume that your options will return limited power. Despite the stature of these vehicles, drivers can still expect plenty of horsepower and torque from the accompanying engine. Both the Cruze and the Focus provide drivers with the muscle their seeking, although one of these vehicles is the ideal choice for those in need of the utmost power. Meanwhile, as is common on these smaller sedans, drivers should expect excellent fuel efficiency. While you’re already saving plenty of money by pursuing a capable, inexpensive vehicle, you can save even more cash by cutting down on those required trips to the gas station. What do you value in a sedan? Power? Efficiency? Surprisingly, despite being a relatively small car, drivers can expect both of these traits from the new Chevy Cruze. The sedan’s standard engine option is the 1.4-liter engine, and despite its smaller stature, the unit is still capable of pumping out a whole lot of power. Drivers can generally expect the engine to reach around 153 horsepower, which is plenty of muscle to keep you zooming on the highway. Meanwhile, the 40 mile per gallon fuel efficiency means you won’t have to make constant stops to the gas station. For those seeking the utmost efficiency, the 2017 Cruze Diesel is the perfect choice. The 1.6-liter turbo engine will deliver a 52 mile per gallon highway fuel efficiency, which competes with some of the best specs in the entire industry. Meanwhile, the system will still be able to pump out 240 horsepower, making it one of the most versatile engines on the market. Ford may offer their customers three different engine options when they’re shopping for a 2017 Focus. 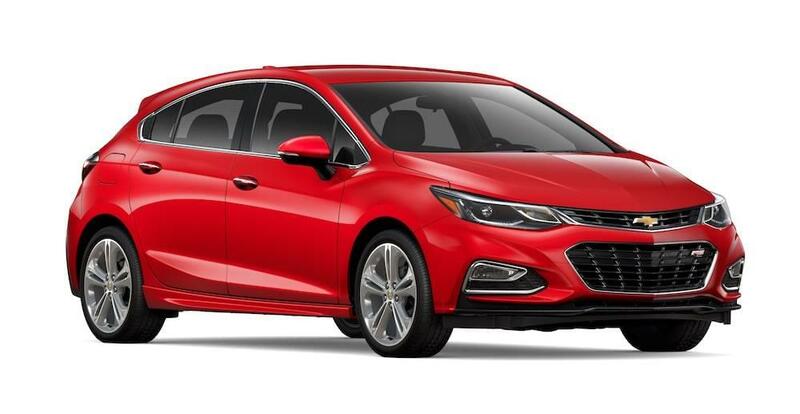 However, it’s important to note that none of these offerings provide nearly the capabilities that the Cruze’s two engine options can deliver. The award-winning 1.0-liter EcoBoost engine is the option for those seeking efficiency, as the unit can deliver an estimated 34 mile per gallon combined fuel efficiency (when accompanied by the six-speed manual transmission). Predictably, the power is rather underwhelming at 123 horsepower and 125 pounds-feet of torque. Meanwhile, the 2.0-liter Ti-VCT engine boosts those power specs to 160 horsepower and 146 pounds-feet of torque, although the fuel economy (28 combined miles per gallon when equipped with the five-speed manual transmission) predictably suffers. For those seeking ultimate power, the 2017 Ford Focus RS may be the ideal option. Thanks to the innovative turbochargers, drivers can expect a best-in-class 350 horsepower and 350 pounds-feet of torque. Given these numbers, drivers can expect a top speed of 165 miles per hour and a 0-to-60 time of 4.7 seconds. Sure, drivers are focused on acquiring a sedan that’s powerful, efficient, and safe. Still, this doesn’t mean that you should ignore the various entertainment amenities that are often provided by these cars. The Cruze and the Focus include a number of technological features that will make those long commutes a lot more bearable. For example, drivers can rely on the standard infotainment system, or they can connect their smartphone to the vehicle, meaning they can make calls or listen to their preferred playlists. There are a number of additional offerings that will satisfy any occupant. Since a buyer will have so many different options at their disposal, it’s a good idea to not ignore this aspect of a new car. Nowadays, consumers see an innovative infotainment system included in a variety of cars. Therefore, it shouldn’t be much of a surprise that the 2017 Cruze includes the Chevy MyLink system. However, where the brand separates itself is the unit’s compatibility with smartphones. Thanks to the inclusion of the Apple CarPlay and Android Auto technology, drivers can seamlessly connect their phone to the system. 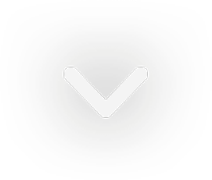 Therefore, instead of having to occasionally glance down at your phone, drivers can access all of the applications they need via the touchscreen. That’s not all the Cruze offers in regards to features and amenities. The vailable built-in 4G LTE Wi-Fi will allow up to seven passengers to connect to the internet, meaning the car’s occupants can always stay connected. Meanwhile, if you opt for the hatchback version of the Cruze, drivers can expect a spacious 47.2-cubic-feet of cargo space when they hide the second row. 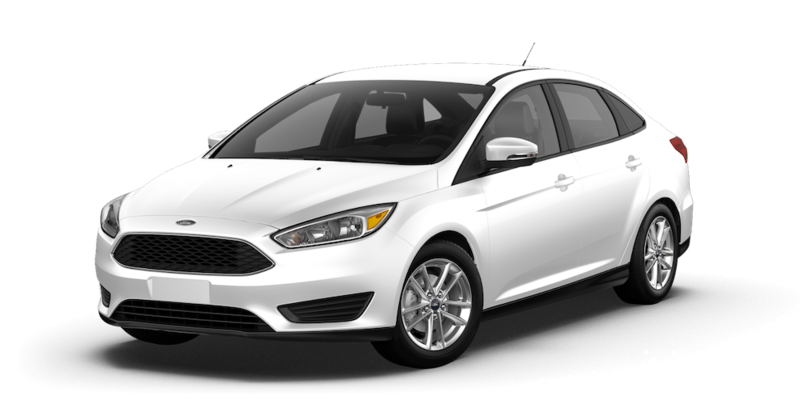 The Focus provides a number of amenities that will make the owner’s commute a whole lot more enjoyable. However, these offerings have proven not nearly as versatile as the offerings provided in the Cruze. For instance, the center touchscreen does offer the capability to connect your smartphone, but drivers are usually forced to settle for a subscription to SiriusXM Traffic and Travel Link. Sure, this system is perfect for navigation (and the satellite radio is certainly appreciated), but its not nearly as well-versed as the Cruze’s offering. The Focus does also include a SmartGauge with EcoGuide, which means drivers can monitor their vehicle’s performance by barely taking their eyes off of the road. There are a number of other interior features that drivers will surely enjoy. The Dual-Zone Electronic Automatic Temperature Control means each occupant can relax in their ideal temperature setting. Meanwhile, the ambient lighting makes it easy to navigate your interior at night.